Disclosure: I was invited to a media preview. You might have guessed that I LOVE Halloween time! 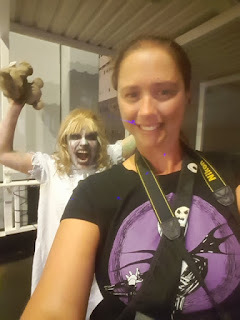 I have loved being scared since I was a little girl. 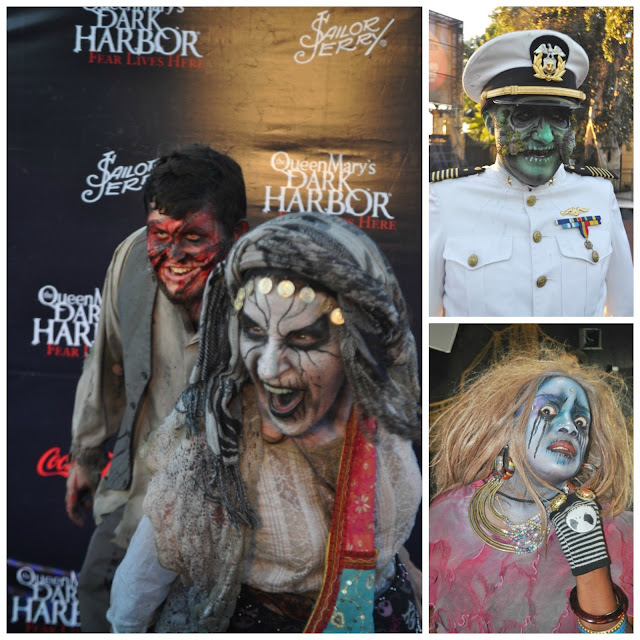 One event that I look forward to every year is the Queen Mary's Dark Harbor. This wold-famous ship is haunted year round and I highly recommend going on the "off" season to see the real spooks! They say that the ghosts from the 40's and 50's still roam the decks, especially the pool deck! I was sad that my hubby had to work the night of the media event but I braved it out with good friends from Horsing Around in L.A. and Balancing the Chaos. As we grabbed a drink to embolden our spirits, and ward off unwanted ones, I captured a glimpse of what was in store for me. 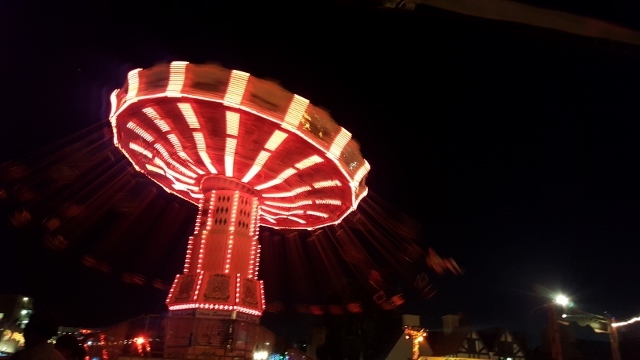 The crown of the even was Michael Jackson's Swings which was especially creepy with Scary Mary and other some of the other 200 ghouls riding it. 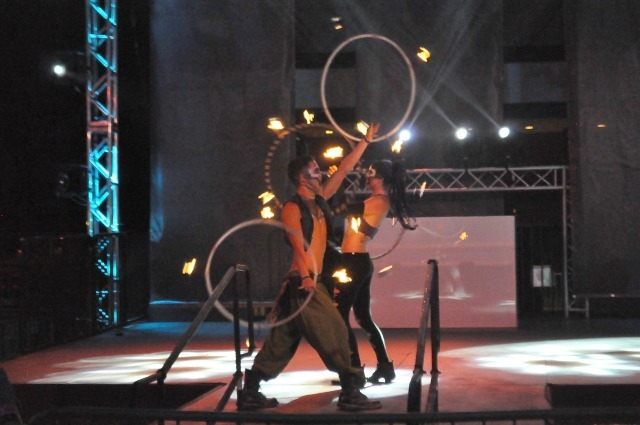 The live stage show had a wide variety of acts that included flame throwing, dancing with a variety of spooks and haunts thrown in. You might think that you are safe if you stay out in the open but beware! The ghouls lurks around every corner just waiting for their new victim! 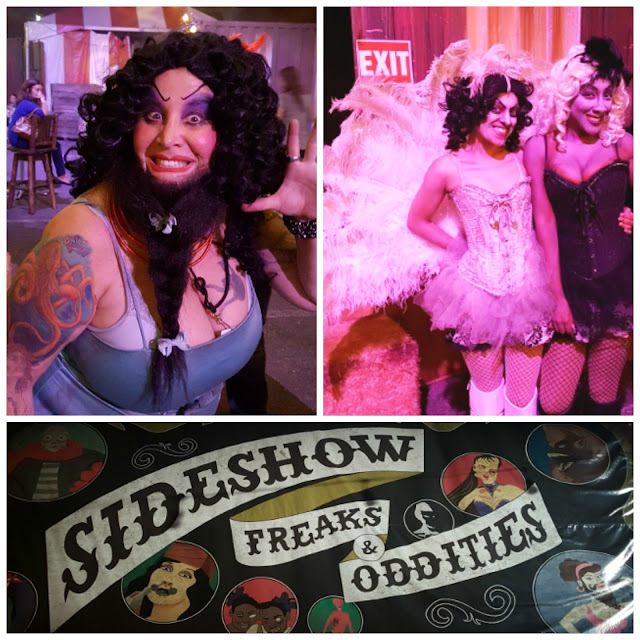 We discovered a great hideaway bar in the middle of the Monster Midway at the Freak Show. This central party was great for having a drink and watching the show with all of the "special Sideshow Freaks". I loved the skull mugs that had LED lights built in, it made a great surprise for my kids back at home. Onto the Mazes, we started off with Voodoo Village. This was absolutely my favorite maze! It was not as bloody and gory as the other mazes but it made you feel like you were in the heart of the swamp and you were about the be cursed into the after-life! It was also about a 15 minute long maze! Have you heard of Scary Mary? The Scary Mary's Lullaby Maze tells the story of the not-so-innocent Little Scary Mary. Apparently, she loves play with her friends... to death! 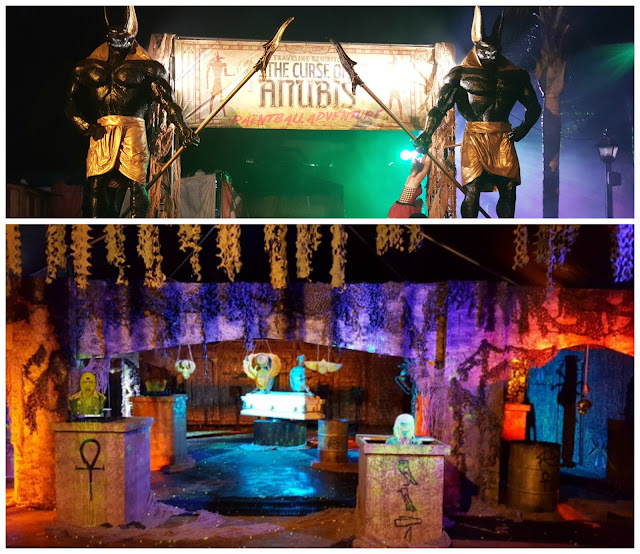 Curse Of Anubis (Paintball)- Ever wanted to shoot the darkest of your nightmares? Anubis is the Greek Egyptian jackal-headed god of mummification and the afterlife and they need brave Mummy killers to save mankind. Deadrise sits in the middle of Dark Harbor and honestly isn't the spookiest out of all the mazes but it left you running for your lives out of the exit. Check out this clip of some of the patrons! Did you favorite mazes make the cut from last year? 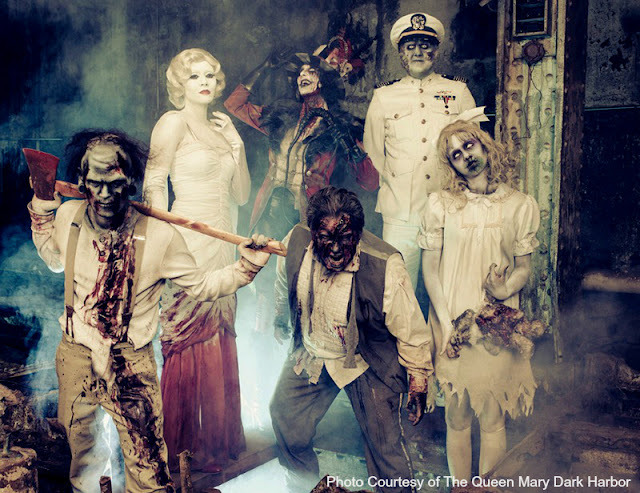 The Queen Mary's Dark Harbor was thrilling and truly horrific. 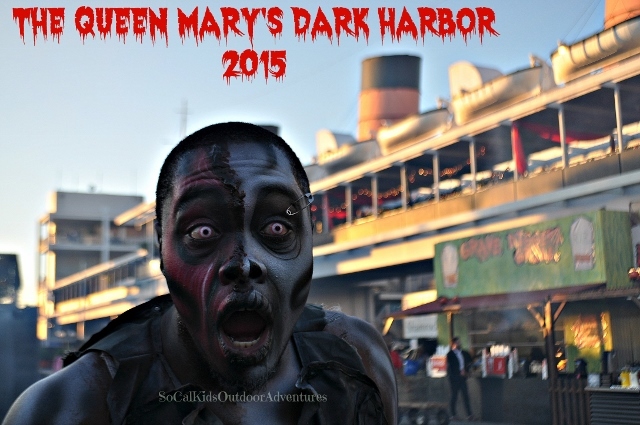 The Queen Mary’s Dark Harbor haunted ship rises from the deep October 1 - November 1, 2015 in Long Beach. 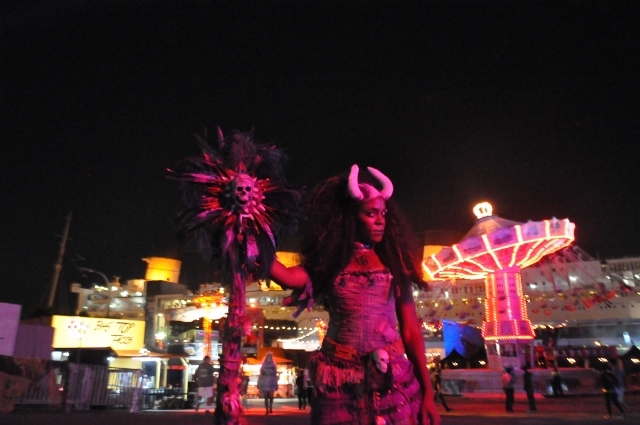 Ticket prices start at just $20 online, with Fast Fright, VIP Passes, and lodging packages available!